Luton Higashi’s leadership team have almost 100 years of combined martial arts and self defence experience. 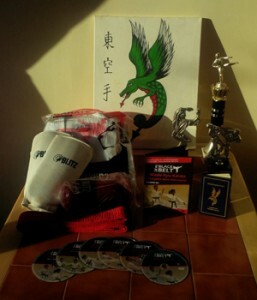 Our mission has been to distil this knowledge into a 6 hour Martial Arts Course to teach you everything a Black Belt knows in a single DVD set. We have also created Amazon’s best selling martial arts and self defence set “140 Combat Moves” and its hugely popular sequel “140 Advanced Combat Moves”. Learn more about Get My Black Belt. For this reason, Sensei John Hurley, or one of his fully qualified and insured instructions will come to you house, or a location convenient to you to provide you, as well as friends and family, with private tuition. Learn more about Luton Higashi Karate private lessons.